Happy April Fools’ Day everyone. I have to say when I was younger, I wasn’t the biggest fan. I’m quite a gullible person and while I am able to laugh at myself, I don’t love being taken in by things. Until recently, this day was rife with pitfalls for me but now I came to appreciate the day for the harmless fun that it’s meant to be. To mark it this year, I decided to list my top five famous April Fools’ jokes, along with some DIY pranks you might fancy trying on some poor unfortunate for yourself. As a self-professed grammar nerd, and font appreciator, this one is my favourite. Just under 40 years ago, The Guardian did a special seven page travel supplement on the tiny tropical republic of San Serriffe. Everything to do with the fictional country was related to printing terms, including its two main islands’ names; Upper Caisse and Lower Caisse. That, and it was shaped like a semi-colon. You can see the full front page of the supplement here. 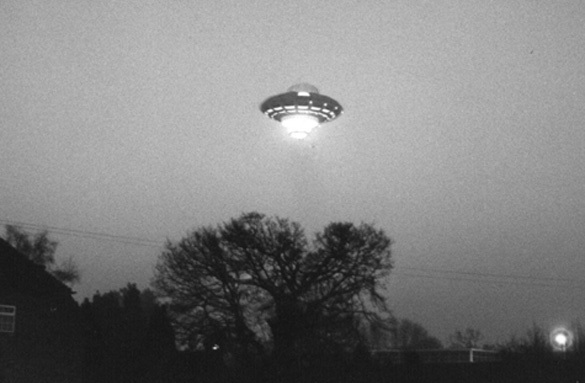 British police were called to investigate a UFO landing in a field in Surrey on March 31st, 1989. When they arrived the door opened to reveal a small figure in a silver space suit, causing the police to run off. The supposed alien was actually a dwarf and the UFO was actually a hot air balloon built to look like a UFO, which Richard Branson intended to land in Hyde Park on April 1st. However, the winds changed, causing him to land in Surrey, but I’d say it still had the desired effect. BBC announced in 2008 that a documentary camera crew had caught Adélie penguins taking flight while filming near the Antarctic. The below clip showing the flying penguins became one of the most watched videos on the internet. Even now, the special effects still look pretty impressive. A follow-up video was released shortly afterwards explaining how the hoax was pulled off. The most recent entry definitely took the internet by storm. As many of you may remember, YouTube announced it was finally time to ‘choose a winner’ after eight years of uploads. They also said they were going to delete all the content and return in 2023 to upload the one and only champion of all the YouTube videos. They made the announcement in their own brilliant video. Okay, so without resources you may not be able to convince people a UFO just landed or that penguins can fly, but you can pull off a few pranks instead – and who says they can only be done on April Fools’ Day? Post-It car: Cover your victim’s car windows in as many Post-Its as you can. Broken PC: Take a screenshot of a colleague’s desktop screen. Then delete all the shortcuts and save the screenshot as their background. Then watch them freak out when their icons don’t work. Frozen mouse: Stick a piece of paper over your colleague’s mouse laser and see how long it takes. Minty treats: Scrape the middle bit out of some Oreos. Replace with toothpaste and put them back together. Contact confusion: Switch your friend’s significant other’s number with their mam’s. If you’re looking for more pranks, I’ve always found Jim Halpert a worthy teacher.